Earlier this week Battlefield fans were excited due to the implications of a Daily Order Challenge that required participation in the Firestorm mode, and the scoring of 500 points therein. Surely this was a big flag, with the words "Battlefield 5's battle royale mode is about to go live," emblazoned upon it. 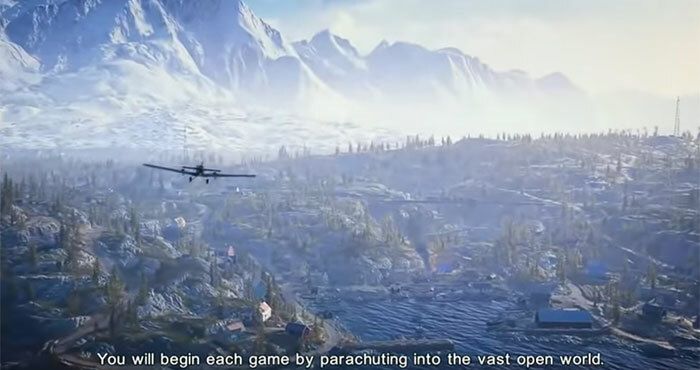 Now that flag has grown in size as a tutorial or introduction video for Battlefield 5 battle royale mode has leaked. 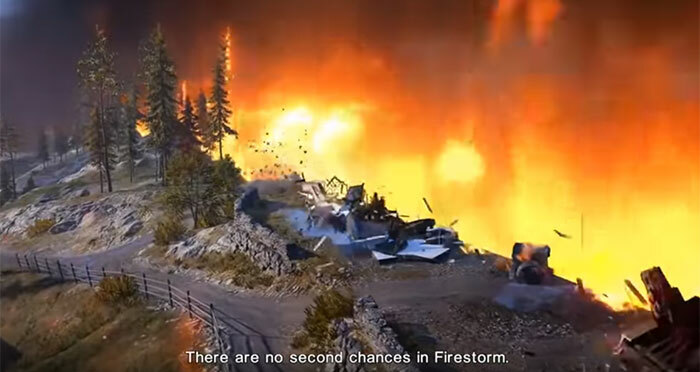 Watching through the 1 minute 30 video, below, you will learn that you will be able to play Firestorm in single-player, duo or squad modes. When you are parachuting in to the 'vast' world you are advised to pick the landing post carefully, balancing up the threats and the opportunities available. It sounds like the areas which will be rich in loot could be the most dangerous areas of the map. Among the loot scattered around the maps are various kinds of weapons and vehicles. The narrator points out that while a vehicle has armour and speed benefits it also makes you a big target - and amongst the loot you will find there is anti-armour weaponry. On the topic of loot, there will be various grades available, between common and epic, and as the quality improves you might get, for example, a gun with a larger magazine, reduced recoil, a good scope and so on. Players are advised to carefully manage their weapons/ammo, and share wisely if in a team. Towards the end of the introduction video we are told that "there are no class specific benefits" in Firestorm. Lastly, and central to this mode's proposition, all the while you are playing the battlefield is getting smaller as the encircling firestorm contracts. In reaction to the video leak, a DICE employee has responded on Reddit. Global Community Engagement Manager 'F8RGE' writes that "Normally I don't comment on leaks for a number of reasons but breaking that habit today. Whatever has leaked has leaked, there's no stopping that, but I just want to clarify one thing." F8RGE explained making this exception "Leaks of early versions and information are just that, early. When you read or watch something there's a risk that some of the things that you will see will be different when things release. Just wanted to flag that some information may change over time." Later the same person added that DICE has been quiet over Firestorm as it wants "the community to make up their own minds on it". Rather have some better maps. Love Battlefield series, dream to play in Battlefield 5, video looks amazing!